“Santorini Hillside” painting by artist Jackie Jacobson is transformed into beautiful ceramic tile art coasters. 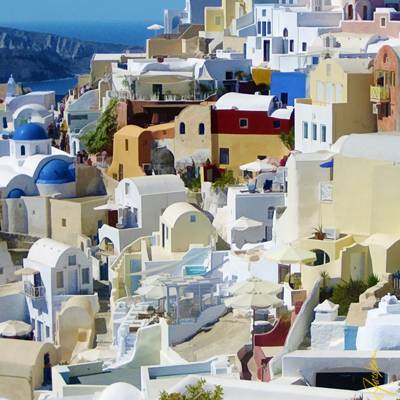 Santorini Hillside has been added to Tile Art for home or office. At dinner – move the coaster to your table for a colorful floral display.